Like a lot of northerners, I find our low-light times of the year a tad depressing. Getting up in the dark and having the sun set before most people are out of work makes you feel like a mole. I know it could be worse than we have it in Minnesota—my husband worked for several months in Uppsala, Sweden, and when we first got there in late January, the sun rose between 8:30 and 9 a.m. and set by 3:30 p.m. Imagine dusk lurking in the background not long after lunch. Grim. 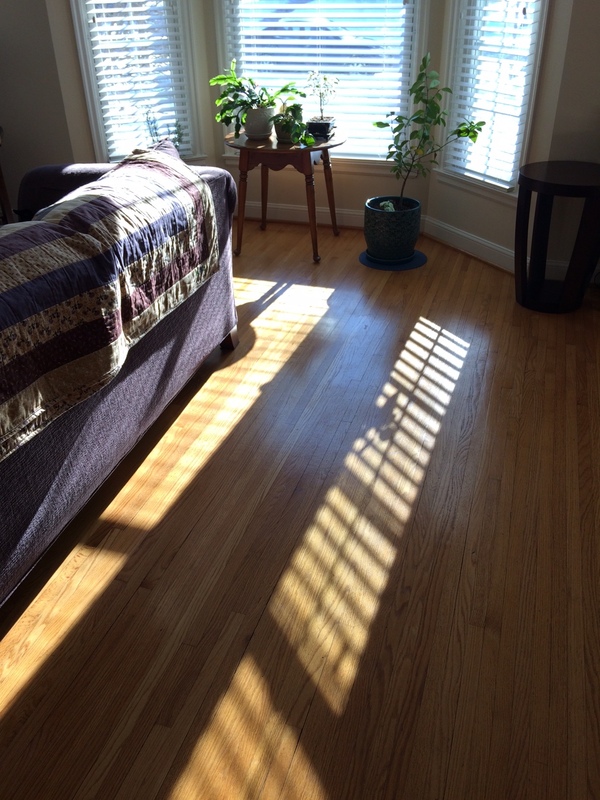 January sun stretches across the floor. So, usually about this time of year, I start watching the sun. I know that by mid to late January, the sun will start rising by 7:30 a.m. and set after 5. More importantly, it seems higher in the sky, so that when we have a sunny day, the light in the house gets noticeably brighter and deeper. I noticed this change of light recently, and while we are having a severe snowstorm as I write this, I know that flicker of brighter sunlight means we are not too far from the backside of winter. Our new home in St. Paul has a bay window in the living room and it faces due south. We’ve put most of our houseplants there—a Meyer lemon tree, some rosemary, a few succulent type things, some bulbs I’m forcing and my husband’s bonsai. They love the light and when it stretches across the floor I can’t help but think about seed starting and the new gardens I’ll be adding this summer. For me, that stretch of light is the start of the garden season. 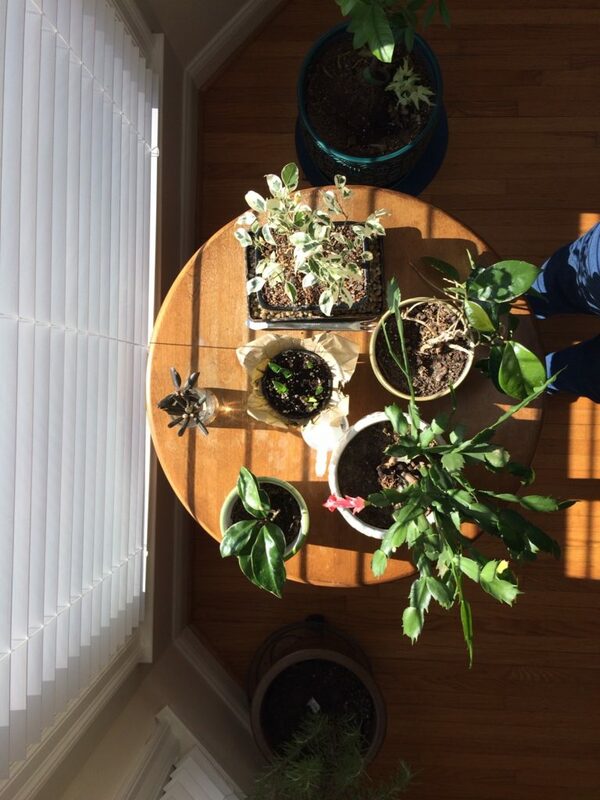 From above, houseplants soak in the sun. It’s been said many times before, but one of the biggest benefits of gardening is that it pushes you toward awareness of the natural world and its rhythms. Sure, I noticed long and short days before I took up gardening, but it was as a gardener that I started to watch the arc of the sun across the sky from winter to summer and back again, to notice where in the yard the light fell at which times of year, to feel its intensity in June and its weak power in November. As a gardener, I really started to listen to bird songs and the rustle of tree branches against each other. (Time to prune?) I started to see the differences in dirt—from the sandy soil in one garden bed to the baked clay in another—and smell more intently the herbs I grew. Nothing smells fresher than lemon balm. As a practical Minnesotan, I know we have at least two more months of winter at our feet, but the light of January brings its own cheer. Spring will come. Right around the equinox, the sun shines through the window my desk faces right into my eyes. Since I have chosen to not hang blinds, I wear a baseball cap with a visor while working at my computer for those two weeks (spring and autumn) where the sun is at that angle. Yes, gardening does make you more aware of the natural rhythms, and gardening in the north makes you grateful for sun in your eyes, and what it signifies. We are doing our garden plan today! I really enjoy your blog. Fun! I’ve been doing some of that, too. Thanks for visiting the blog. It’s nice to have a window in your office — I hope yours has a view of your garden. Well said, Mary. Like you, I find encouragement in that bright light on a sunny day beaming into the sunroom. That is one positive thing about winter in the Upper Midwest: Many of our winter days are bright and sunny. Weeks of gray weather would be worse. You are so correct about gardeners being more awaer of the natural world around their home. I just started getting your emails. 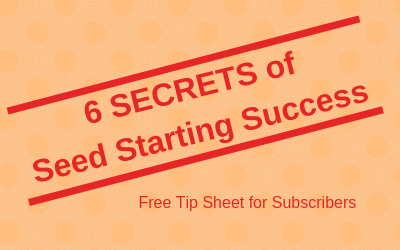 Do you have more information on forcing bulbs? Is it too late to start them? Karen — Thanks for following the blog. You probably can find some good deals on pre-planted forced bulbs in the store now. If they have been prechilled, you can begin to force bulbs anytime, they will just bloom later. Good luck!